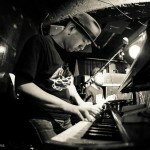 BIOGRAPHY « Kaztake-42-music – A hundred birds / SUIKA / D.I.T.A. 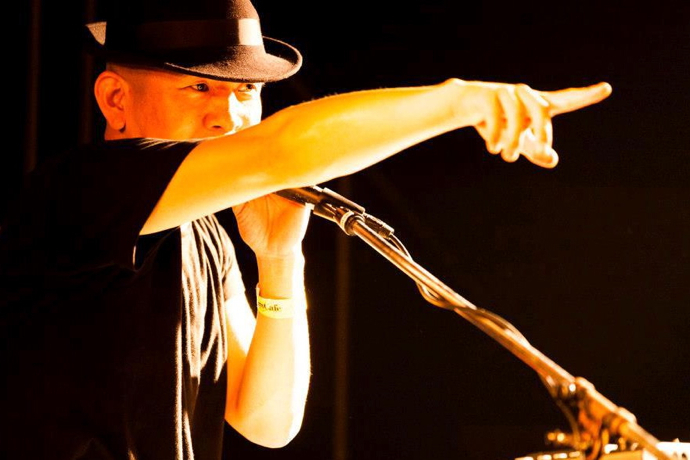 Kaztake is one of the core members of HOUSE-MUSIC-Orchestra, A Hundred Birds, and also a leader of the HIP-HOP band,SUIKA. His live performance with some keyboards and sampers is quite unique. It’s only his style called “HYBRID between DJ and band. 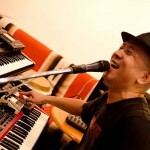 ” Now he holds some events around Tokyo with HIPHOP track makers and DJs. He is a man you should pay attention to most now. Kaztake was born in Osaka, 1975, brought up in Takarazuka, Hyogo Prefecture. His career in making tracks of HOUSE and HIPHOP began in 1995. In 1998, he undertook new face produce in record companies. ￼plays the keyboards in this band. 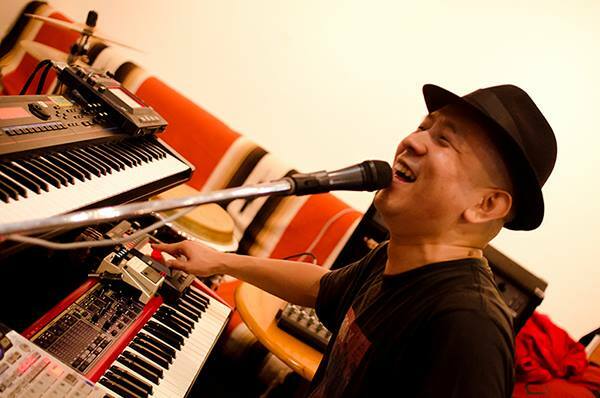 In 1999, A Hundred Birds (AHB) made a remix work of Chikuzen Sato’s “Let me in”(Toshiba EMI). After AHB performed with Jocelyn Brown in 2000, they made a contract with WAVE music(NYC) and released some analog singles “BATONGA (2001)”, “GEORGIA (2003)”, “Jaguar/So eye on (2003)” and “BLACK WATER/Come Together (2005).” These records made a hit worldwide in a HOUSE scene. 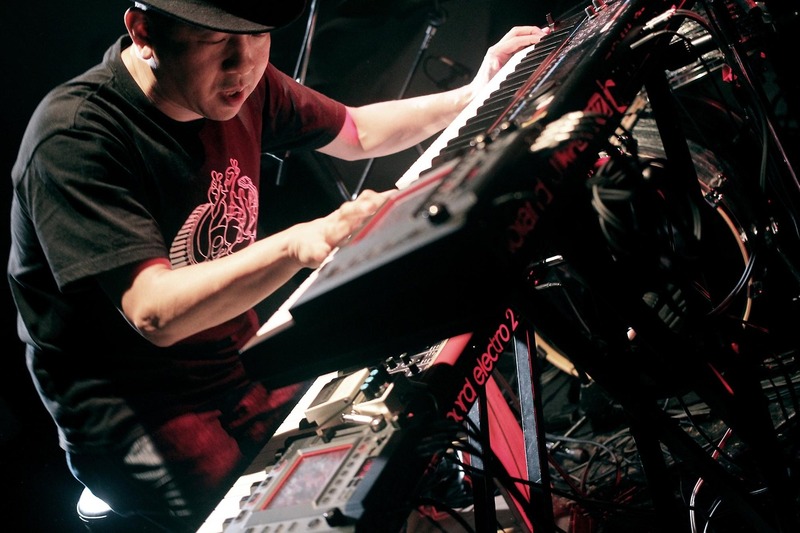 Kaztake produces a HIPHOP-band called “SUIKA”, with playing the Wurlitzer and making tracks as a leader of the band. SUIKA has a rapper with playing the woodbass TAKATSUKI (Samurai Troops), a percussionist Yuko Takahashi (Gomes the Hitman), a rapper ATOM and a poet TOTO as the members. SUIKA began in 2003.They played at FUJI ROCK FES. 2004, NAGISA FESTIVAL 2005 & 2006 and collaborated with SHINGO 2 at Candle Night 2005. They released 3 albums including the critically acclaimed first album “Harvest for the stripes (2004)”, “RIPE STRIPES (2005)” and “COINCIDE (2005).” Through their host event “SUIKA-YAWA”, they have good relationships with artists from different genres, such as ORIGAMI, illreme, HARCO, Romancrew, and Kazumi Nikaido. 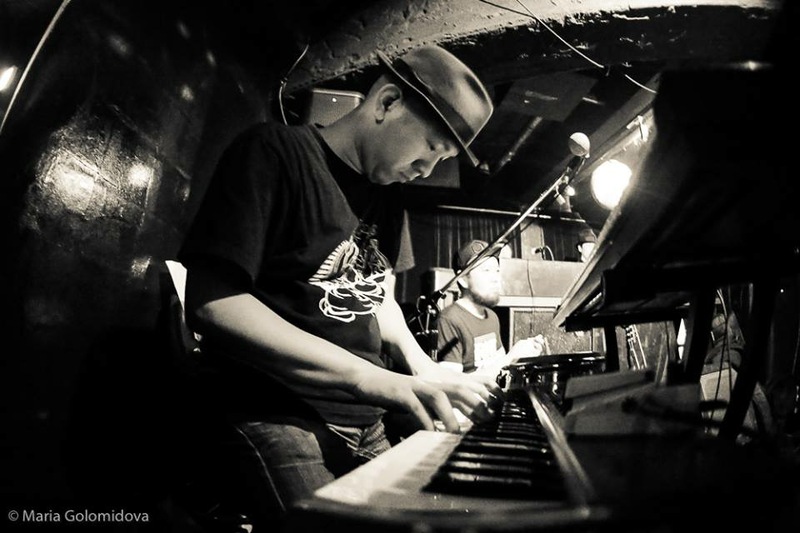 In 2007, Kaztake launched a new solo project “D.I.T.A.” He collaborated with Joi Cardwell and made her single “Celia/A Beautiful Life (Rambling Records)” released on May 2nd 2007. He wrote the original song “Delighted Butterfly feat. Satoko OKuda” for a compilation album “BUTTERFLY” released on July 4th 2007. Now he works for the album. On June 21st 2013, 3rd and 4th solo album “UNDER THE WILLOW RAIN” & “UNDER THE WILLOW SUN” were released at the same time, which made a great impact to music lovers in Japan. 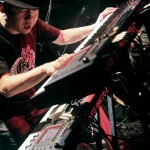 Now he holds some events around Tokyo with HIPHOP track makers and DJs. The next 5th album “UNDER THE WILLOW BLEND” has just released on September 3rd 2014.